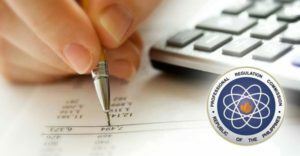 For the upcoming Certified Public Accountant (CPA) licensure examination on October, the Professional Regulation Commission (PRC) already revealed the room assignments from the designated venues nationwide. According to the commission, the venues include Baguio City, Cagayan de Oro City, Cebu City, Davao City, Iloilo City, Legazpi City, Lucena City, Manila, Tacloban City and Tuguegarao City. The board exam will be on October 7-8 and 14-15, 2017. The Board of Accountancy of the PRC will be in-charge in administering the examination and it is important for the applicants to check the necessary updated through the official website of the commission. From the shared information through philnews.ph, there are imposed guidelines and instructions from the PRC that the applicants need to follow. It is very important for the examinees or takers to adhere to the rules of the commission to avoid any inconvenience and complete the board exam appropriately.